“What is this?” you ask. “Bottled water in a box?” Nope. 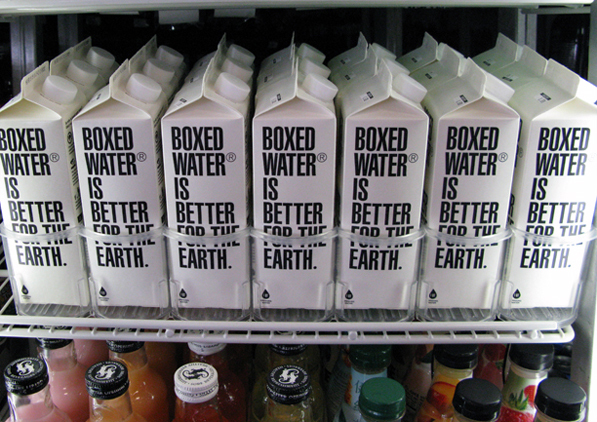 It’s boxed water, and it’s brilliant! With 90% of the container coming from renewable resources and 20% of their profits reinvested in clean water and sustainable forestation initiatives, it seems like they’re living up to their claim). 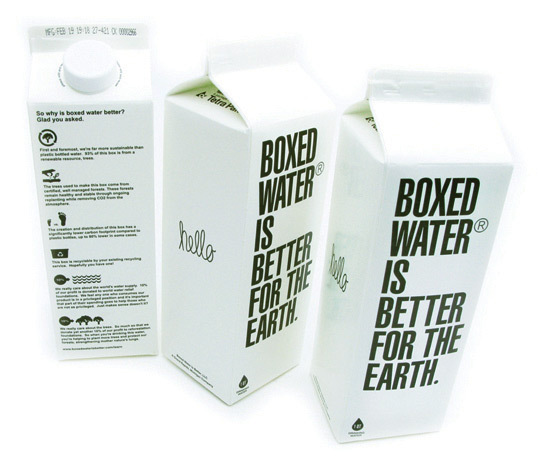 Boxed Water is a much needed breath of fresh air in a world littered with plastic bottles saying the same thing the same way (i.e. Mountains and rivers on clear plastic containers that will exist long after we’ve turned to dust). A great piece of design. Did I mention they’re out of Grand Rapids. Could it get any better?